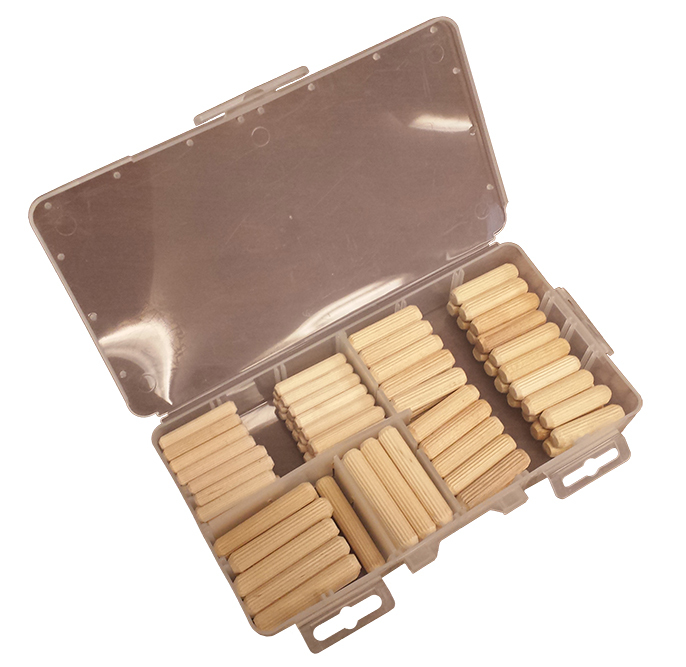 Our multi-groove dowel pin assortment is perfect for any home workshop. Includes the most commonly used sizes of multi-groove dowel pins. Each kit is packed in a resealable plastic container with convenient hangers for pegboard hooks or nails. Easily refillable, the plastic container keeps your shop organized. Standard shipping is $14.95 per order for orders with a subtotal less than $30. Orders over $30 have a flat shipping rate of $9.95 per order. Shipping will be added to your order at checkout. Products shipped within the lower 48 states should arrive in less than 5 days. Orders totaling $50 or more qualify for free standard shipping. Shipping rates, order minimums, and free shipping offer apply to online and retail customers only. Wholesale and phone orders do not qualify for free shipping. Expedited shipping available. Please call for expedited shipping charges. Expedited shipping is not covered under our free shipping offer. 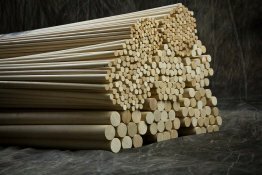 Returns must be approved before being shipped back to Cincinnati Dowel & Wood Products. Products that have been altered may not be returned. Products that have been finished or painted. Returns may be subject to a restocking fee and shipping fee.